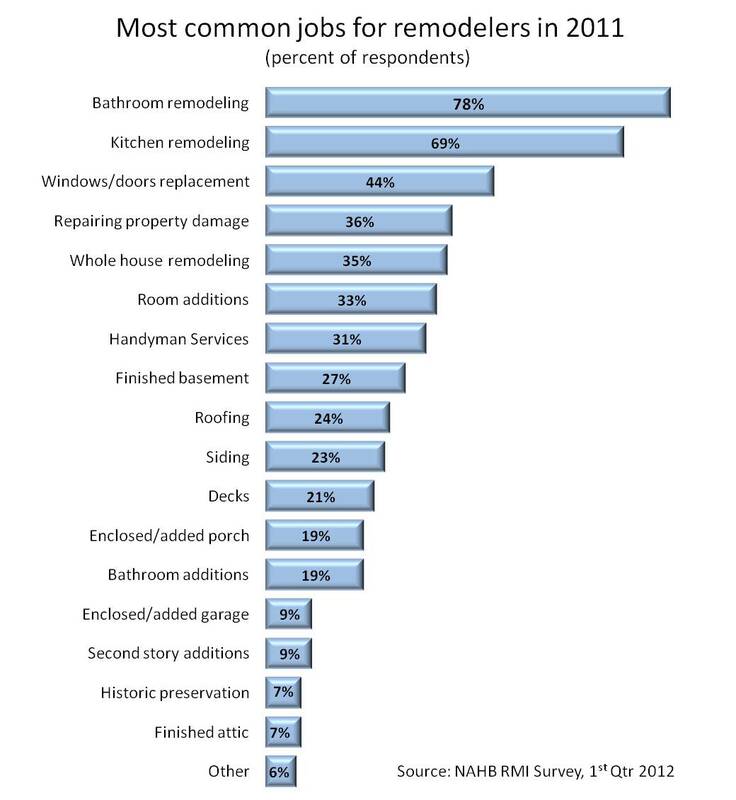 A new survey released by NAHB shows common remodeling projects have increased, compared to a similar survey from 2010. The survey also describes the changes the remodeling market has undergone in recent years. Remodelers report that kitchen and bathroom projects remain the most popular remodeling jobs with home owners increasingly upgrading both rooms and making major repairs as they decide to stay in their current homes longer. Nearly 50 percent of remodelers report seeing an increase in the number of homeowners who undertake remodels to avoid moving compared to the 2010 findings.